Friend or villain? Brother or traitor? 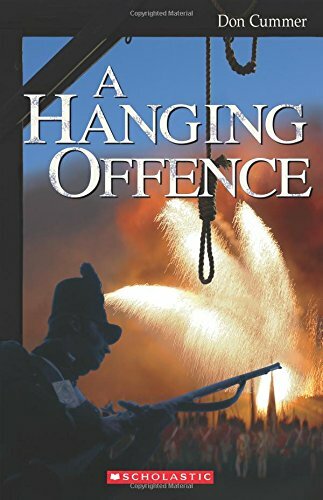 This compelling story of wartime friendship brings the looming War of 1812 to dramatic life. Jacob is a steadfast Loyalist. Eli is a newcomer to Upper Canada, whose family has just moved from the United States. The two boys become fast friends, but their friendship is tested when Eli's father refuses to pledge allegiance to the Crown. As Loyalists in Upper Canada become more and more suspicious of those with American leanings, the looming war threatens to pull the boys — and their town — apart. Peopled with key figures from the War of 1812, such as General Isaac Brock and newspaperman-turned-traitor Joseph Willcocks, Brothers at War portrays the tense era just before the War of 1812, which pitted neighbour against neighbour as Upper Canada prepared to fend off invading American forces. 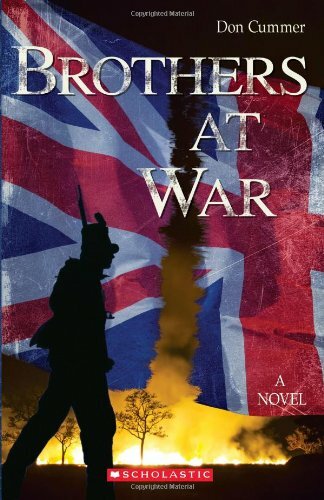 Brothers at War is the first book in the "Jake and Eli" series that follows the adventures of two boys during the War of 1812. On a winter day where freshly fallen snow covers the slopes beneath the palisades of Fort George, they meet and, before the day is over, one will save the other's life -- beginning a friendship that deepens in the coming months as they stand up against the older boys who bully them. As the situation in Newark, Upper Canada (present-day Niagara-on-the-Lake) worsens with the approach of war, they become involved in the political fortunes of the charismatic Joe Willcocks and, at the same time, are drawn toward the gallant General Isaac Brock. 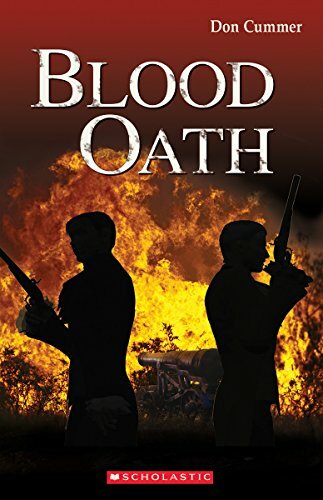 Will their friendship -- their oath of ultimate loyalty to each other -- stand the tests that the War of 1812 will deliver? A chapter from Brothers at War, "The Burying Grounds," won the 2012 Writing for Children Competition. Read the announcement and review. One of the judges, Rene Schmidt, would later write about meeting Don Cummer in his Books and Blogs website. Here's an excerpt from the book and McKeever's review in the Canadian Review of Materials. Four out of four stars! Here's a guest spot on the blog for the Ottawa Public Library hosted by my friend, the author Michael F. Stewart. Review in the Recently Read blog. Review in the FernFolio blog.